I thought I was the last bloke in the country to get my hands on the new R50 MINI Cooper. 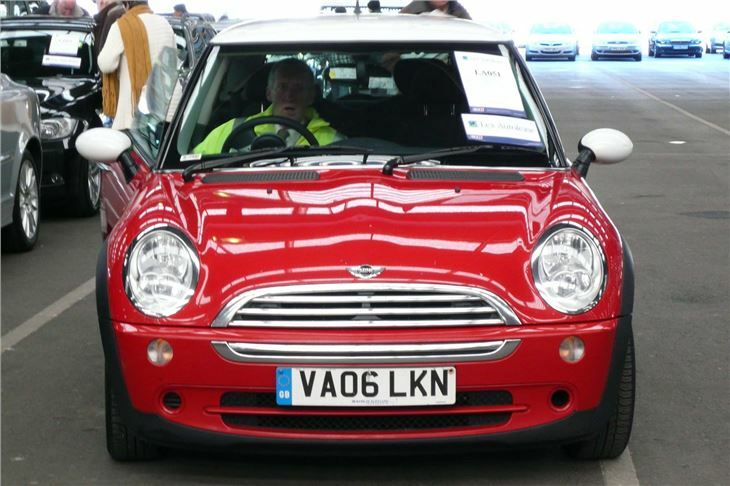 Until I drove one to the auctions and half the traders wanted a go. 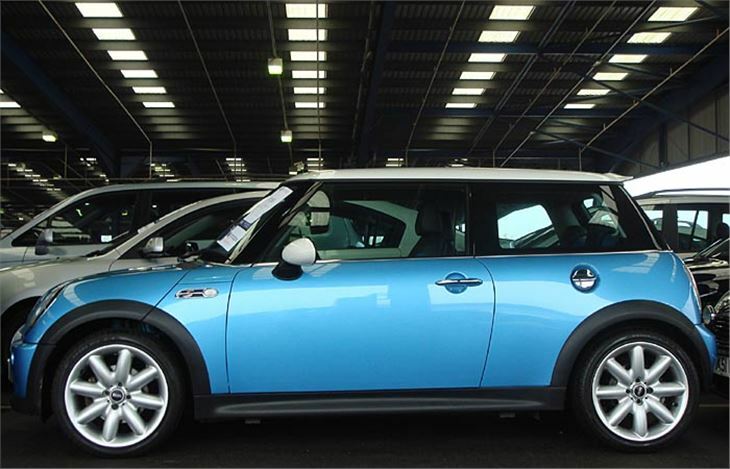 Though the MINI Cooper isn't actually very fast, and most 2.0 litre repmobiles will stay with you away from the lights, it FEELS fast. So fast that everyone else appears to have slowed down. The roadholding is astonishing and you don't have to slow down for corners. The trouble is, everyone else does, which means that in traffic you're always stuck behind someone. Maybe I had a bad day. Like the day every blind nonagenarian in Surrey got into their Honda Civics and joined a 30mph bumper to bumper convoy through all the best bends. And they wonder why their insurance goes up 10 per cent for every year of age beyond 75. 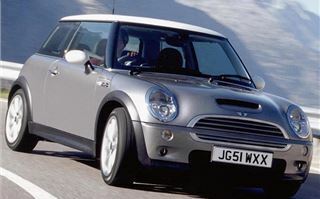 MINI Coopers don't like motorways. They get onto them quickly enough: down the slip-road, pick up speed, zip into place like lightning. Then it's all over because, though the gearing allows about 21 mph per 1,000 rpm, the thing drones like Victor Meldrew at cruising speeds and hops about like a pogo stick. Apparently they're even worse on 'Sports Suspension Plus'. And worse still on the very tasty 17in wheels which Premier Division footballers seem to be choosing. Don't look for practicality. 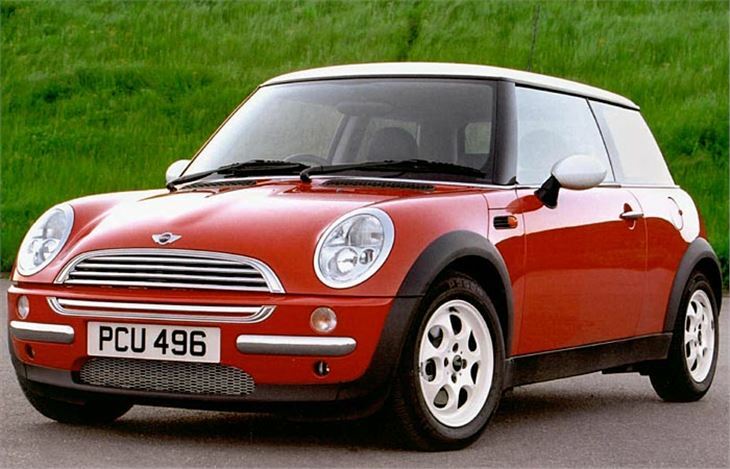 MINIs are strictly 2+2s, and then only if you're all well under six feet tall. I also averaged a mere 32.25 mpg, which isn't brilliant, but did reflect quite a lot of short runs in town. Some of the bits and pieces inside aren't how I remember them from Motor Shows. Like the column stalks that look like something out of an Airfix 'Starship Enterprise' kit. As bad as the horrible Steptronic buttons on the steering wheel of an MGF. And the styled structure in front of the gearlever that could contain cubbyholes yet doesn't. But other bits are wonderful. 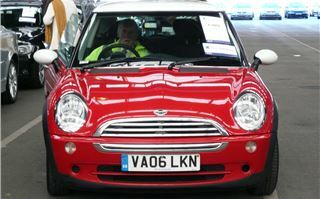 Like the view through the letterbox windscreen in the rain with the dinky little wipers slappin' time. 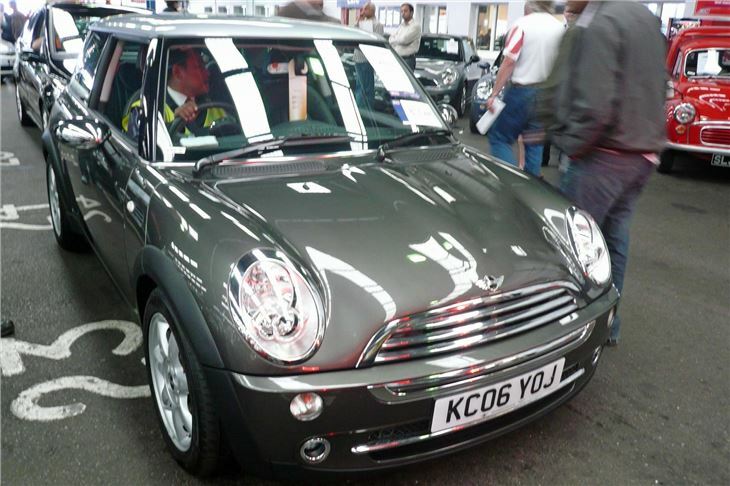 More like a chopped-top MiniSprint than a Mini. And the £80 optional leather-rim steering wheel is just the right size, just the right thickness and exactly the right angle. And the rev counter on the column with its red light zone red line. And the chain-cam engine. And the fantastic un-Mini-like access to it. There really is loads to like. The car grows on you. You learn its quirks and limits and adapt to the best way to drive it. You use any excuse to get out on the roads in it. 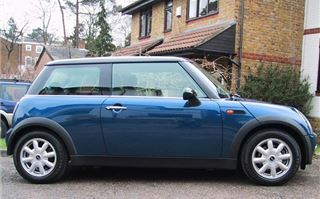 By the end of my week with a dark blue MINI Cooper I was in love and desperately working out what to sell so I could buy one for myself. 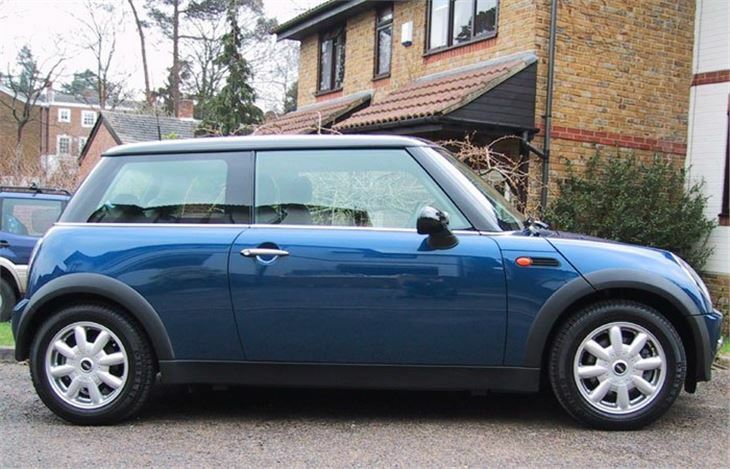 With its £2,000 worth of options, my MINI Cooper worked out at £13,500 on the road. This may seem like a lot for a little hatchback. But it isn't a lot for a sports car. 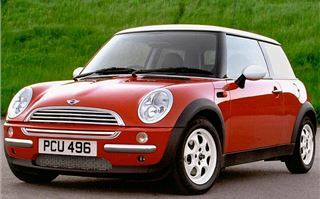 And no small sportscar I can think of is anything like as much fun to drive. That's the best way to sum it up. 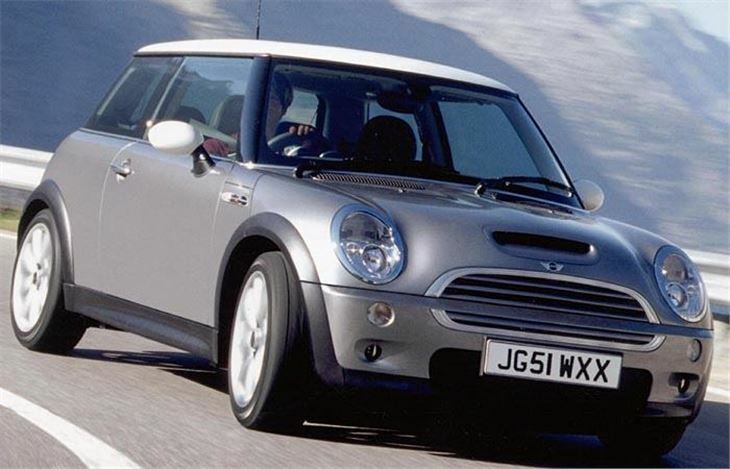 The MINI Cooper is the most fun car to drive there is.